01:30 1. Shri Anandrao Adsul 2. Shri George Baker 3. Shri K. Ashok Kumar 4. Shri Chhedi Paswan 5. Dr. Kulamani Samal 6. Shri Pankaj Chaudhary 7. Dr. (Smt.) Ratna De (Nag) 8. Shri Sarfaraz Alam 9. Shri Biswajit Daimary 10. Shri Prem Chand Gupta 11. Shri Ranvijay Singh Judev 12. Shri B. K. Hariprasad Oral Evidence of the representatives of the Ministry of Chemicals and Fertilizers (Department of Pharmaceuticals) on the subject 'Pricing of Drugs with special reference to Drug (Price Control) Order 2013'. 02:00 1. Shri Anandrao Adsul 2. Shri George Baker 3. Shri K. Ashok Kumar 4. Shri Chhedi Paswan 5. Shri S. Rajendran 6	Dr. Kulamani Samal 7	Dr. (Smt.) Ratna De (Nag) 8. Shri Sarfaraz Alam 9. Shri Biswajit Daimary 10. Shri Prem Chand Gupta 11. Shri B. K. Hariprasad 12. Shri Vijay Pal Singh Tomar Oral Evidence of the representatives of the Ministry of Chemicals and Fertilizers (Department of Chemicals and Petrochemicals) on the subject 'Demand and Availability of petrochemicals including imports and exports'. 03:00 1. Shri Anandrao Adsul 2. Shri B. N. Chandrappa 3. Shri R. Dhruvanarayana 4. Smt. Kamla Devi Patle 5. Dr. Kulamani Samal 6	Smt. Rekha Arun Verma 7	Shri Elamaram Kareem 8	Shri Abdul Wahab 9	Shri Ranvijay Singh Judev 10	Shri B. K. Hariprasad 11	Shri Vijay Pal Singh Tomar (i) Consideration and adoption of draft ATR on subject ‘Assam Gas Cracker Project’ of Department of chemicals and Petrochemicals (ii) Discussion with representatives of PSUs under Ministry of Chemicals and Fertilizers which are either sick or facing disinvestment. (iii) Discussion with the representatives of all the three department of Ministry of Chemicals and Fertilizers and Niti Aayog on the above subject. 00:45 1. Shri Anandrao Adsu 2. Shri George Baker 3. Smt. Veena Devi 4. Shri R. Dhruvanarayana 5. Shri K. Ashok Kumar 6. Shri Chhedi Paswan 7. Smt. Kamla Devi Patle 8. Shri S. Rajendran 9. Dr. Kulamani Samal 10. Shri Elamaram Kareem 11. Shri Vijay Pal Singh Tomar Consideration and Adoption the draft Report on the subject 'Pricing of Drugs with special reference to Drugs (Prices Control) Order, 2013' and draft Action Taken Report on 46th Report of the Committee on the subject ‘Promotion and Co-ordination of Basic, Applied and other Research in areas related to Pharmaceutical Sector’ both pertaining to Department of Pharmaceuticals. 1 Chennai, Tirupati, Bengaluru, Goa, Mumbai and Shirdi from 27 November to 01 December, 2018. 1. 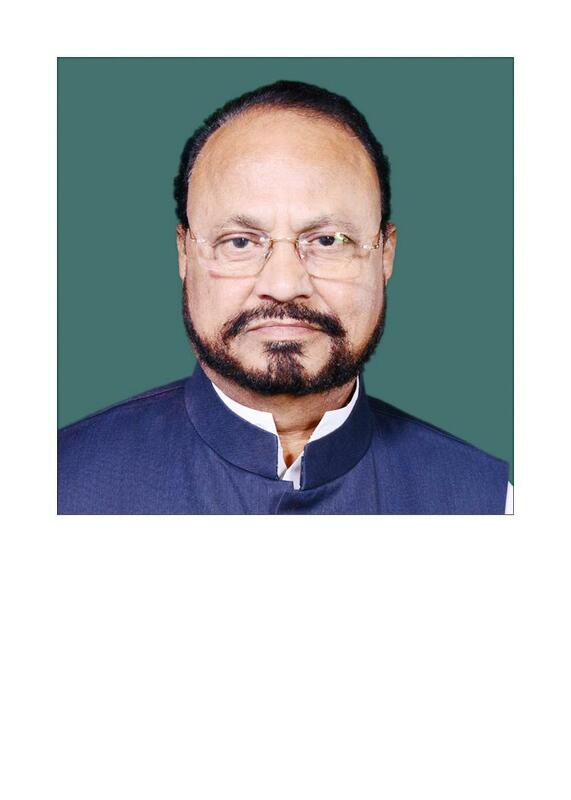 Shri Anandrao Adsul Chairperson 2. Shri B.N. Chandrappa 3. Shri Sankar Prasad Dutta 4. Shri K. Ashok Kumar 5. Shri Chhedi Paswan 6. Smt. Kamla Devi Patle 7	Shri Rajendran S. 8. Dr. Kulamani Samal 9. Dr.(Smt) Ratna De (Nag) 10. Dr. Krishna Pratap Singh 11. Shri Sarfaraz Alam 12	Shri Biswajit Daimary 13. Shri Vijay Pal Singh Tomar 14. Shri B.K. Hariprasad 15. Shri Ranvijay Singh Judev 16. Shri Elamaram Kareem 1. Informal discussion with the representatives of Department of Pharmaceuticals, NPPA, BPPI and Government of Andhra Pradesh regarding implementation of PMBJP and DPCO 2013 in Andhra Pradesh. 2. Informal discussion with representatives of Department of Fertilizers, Madras Fertilizers Limited and Government of Tamil Nadu regarding contribution of MFL in production of Fertilizers and demand and supply of fertilizers in Tamil Nadu. 3. Informal discussion with the representatives of Department of Chemicals and Petrochemicals, CENTRAL INSTITUTE OF PLASTICS ENGINEERING AND TECHNOLOGY (CIPET) regarding role of CIPET in promoting polymer and allied industries in the country. 4. Informal discussion with the representatives of Department of Pharmaceuticals and Karnataka Antibiotic Pharmaceuticals Limited (KAPL) regarding performance of KAPL. 5. Informal discussion with the representatives of Department of Fertilizers, designated supply and distribution agencies of Fertilizers and Government of Karnataka regarding demand and supply o fertilizers in Karnataka. 6. Informal discussion with the representatives of Department of Fertilizers, Rashtriya Chemicals and Fertilzers Ltd., and Government of Goa (Agricultural Department) regarding demand and supply of fertilizers in Goa. 7. Informal discussion representatives of Department of Pharmaceuticals, NPPA, BPPI, Government of Goa regarding implementation of PMBJP and DPCO 2013 in Goa and Field visit to Janaushadi Kendra in Goa. 8. Informal discussion with the representatives of Department of Chemicals and Petrochemicals and HOCL regarding role in petrochemical sector and its restructuring. 9. Informal discussion with the representatives of Department of Fertilizers and Rashtriya Chemicals and Fertilzers Ltd., regarding performance of RCF. 10. Interaction/informal discussion with farmers in the presence of representatives of Department of Fertilizers, designated supply and distribution agencies of Fertilizers, RCF and Government of Maharashtra regarding demand and supply of fertilizers in Mahrashtra. 2 06.06.2018 to 11.06.2018 1. Shri Anandrao Adsul 2. Shri George Baker 3. Shri R. Dhruvanarayana 4. Prof A. Seetaram Naik 5. Shri Chhedi Paswan 6. Smt. Kamla Devi Patle 7. Shri Rajendran S 8. Dr. Kulamani Samal 9. Shri Sarfaraz Alam 10. Shri Biswajit Daimary 11. Shri B.K. Hariprasad 12. Shri Vijaypal Singh Tomar 1. Informal interaction/discussion with the representatives of farmer community of the village alongwith representatives of Agriculture department of the Uttarakhand Government, Ministry of Chemicals and Fertilizers (Department of Fertilizers) and National Fertilizers Limited (NFL). 2. Visit to a Jan Aushadhi Kendra at Civil District Hospital at Almora and an informal interaction with the representative of the NGO running the Jan Aushadhi Kendra, CMO of the Hospital and representative of the BPPI and Department of Pharmaceuticals regarding availability of medicines at the Jan Aushadhi Kendra and prescription of generic medicines by Government Hospital doctors. 3. An informal interaction/discussion with the farmers of the village - Arjun Rath, representative of the Agriculture Department (Government of Uttarakhand)and NFL regarding availability of fertilizers in Almora. 4. A Visit to Jan Aushadhi Kendra located in District Civil Hospital, V. D. Pandey District Hospital at Nainital at 1100 hrs. 5. An informal discussion with the representatives of the HIL and IPFT regarding pesticides/Insecticides formulation and their safe and judicious use by the farmers and public at large. 6. An on the spot visit to a village Ichhi in the Dharamshala District and held informal interaction/discussion with the representatives of farmer community of the village alongwith representatives of agriculture department of the Himachal Pradesh State Government, Ministry of Chemicals and Fertilizers (Department of Fertilizers) and National Fertilizers Limited (NFL) regarding timely and adequate chemical fertilizers. 3 01 to 06 November 2017 1.Shri Anandrao Adsul, Chairperson 2.Smt. Anju Bala 3.Shri B. N. Chandrappa 4.Smt. Veena Devi 5.Shri R. Dhruvanarayana 6. Shri K. Ashok Kumar 7. Shri Chhedi Paswan 8. Shri S. Rajendran 9. Dr. Kulamani Samal 10	Dr. Krishna Pratap Singh 11.Shri B. K. Hariprasad 12.Dr. Bhushan Lal Jangde 13Shri Ranvijay Singh Judev 14.Dr. Sanjay Sinh 1 Visit to Central Institute of Plastic Engineering and Technology (CIPET) Lucknow. Informal Discussion with the Representatives of Department of Pharmaceuticals and National Institute of Pharmaceutical Education and Research (NIPER) Raebareli on the subject Promotion and Coordination of basic applied and other Research in areas related to the Pharmaceutical sector.3 Informal Discussion with the Representatives of Department of Chemicals and Petrochemicals and Representatives of Central Institute of Plastic Engineering and Technology (CIPET) Bhopal on the subject Demand and availability of Petrochemicals. 4 Informal Discussions with the Representatives of Department of Chemicals and Petrochemicals and Representatives of Hindustan Insecticides Limited (HIL).5 Informal Discussion with the Representatives of Department of Chemicals and Fertilizers representatives of Government of Gujarat and Representatives of Rashtriya Chemicals and Fertilizers Limited regarding Availability of Fertilizers in Kutch region.6 Informal Discussion with the Representatives of Department of Chemicals and Fertilizers and the representatives of Rashtriya Chemicals and Fertilizers Limited regarding Freight Subsidy Policy. Informal discussions with the representatives of Department of Chemicals and Fertilizers and the representatives of RCF on the subject Freight Subsidy Policy at Diu. 7 01.06.2016 to 06.06.2016 1. Shri Anandrao Adsul, 2. Shri George Baker, 3. Shri Chandu Lal Sahu, 4. Smt. Kamala Devi Patle, 5. Shri Kamalbhan Singh Marabi, 6. Dr. Kulamani Samal, 7. Smt. Veena Devi, 8. Shri K Ashok Kumar, 9. Smt. Anju Bala, 10. Smt. Rekha Arun Verma, 11. Shri Chhedi Paswan, 12. Shri R. Dhruvanarayana, 13. Shri B.N. Chandrappa, 14. Shri S. Rajendran, 15. Shri Taslimuddin, 16. Shri Narayan Lal Pancharya, 17. Shri Mansukh L. Mandaviya, 18. Shri Biswajit Daimary, 19. Shri Palvai Govardhan Reddy 1. Visit to Karnataka KAPL plant at Bengaluru and Informal discussion with the representatives of KAPL and Department of Pharmaceuticals, Bengaluru . 2. Visit to Visit to CIPET Centre at Mysuru and Informal discussion with the representatives of CIPET and Department of Chemicals and Petrochemicals at Mysuru. 3. Informal discussion with the representatives of Department of Fertilizers and the officials of Rashtriya Chemicals and Fertilizers (RCF) regarding their performance at Udhagamandalam (Ooty). 4. Informal discussion with the representatives of representative of The Fertilizers and Chemicals and Travancore Ltd. (FACT) and Department of Fertilizers at Mysuru. 5. Informal discussion with the representatives of representative of The Fertilizers and Chemicals and Travancore Ltd. (FACT) and Department of Fertilizers at Coorg. 6. Informal discussion with the representatives of Department of Fertilizers and the officials of Rashtriya Chemicals and Fertilizers (RCF) and Mangalore Chemicals and Fertilizers (MCF) at Mangalore. 15 08.01.2015 Shri BN Chandrappa, Shri Sankar Prasad Datta, Shri R. Dhruvanarayana, Shri Satish Kumar Gautam, Shri K Ashok Kumar, Shri Chhedi Paswan, Shri Rajendran, Shri Chandu Lal Sahu, Dr. Kulamani Samal, Dr. Krishan Pratap Singh, Shri Taslimuddin, Shri Biswajit Daimary, Shri Palvai Govardhan Reddy Informal meeting with farmers regarding various problems faced by them. Village Mannanur, Telangana. 17 07.01.2015 Shri BN Chandrappa, Shri Sankar Prasad Datta, Shri R. Dhruvanarayana, Shri Satish Kumar Gautam, Shri K Ashok Kumar, Shri Chhedi Paswan, Shri Rajendran, Shri Chandu Lal Sahu, Dr. Kulamani Samal, Dr. Krishan Pratap Singh, Shri Taslimuddin, Shri Biswajit Daimary, Shri Palvai Govardhan Reddy Informal meeting with farmers regarding various problems faced by them. Dindi Village, Nalgonda District, Telangana. 50 Final Action Statement on 50th Action Taken Report on the observations/recommendations contained in the 41st Report on the subject Freight Subsidy Policy of the Ministry of Chemicals and Fertilizers (Department of Fertilizers). 48 Final Action Statement on Forty-eighth Action Taken Report on the observations/recommendations contained in the Forty third Report on the subject Demand for Grants 2018-19 of the Ministry of Chemicals and Fertilizers (Department of Fertilizers). 42 FINAL ACTION TAKEN REPLIES OF THE GOVERNMENT ON THE RECOMMENDATIONS CONTAINED IN THE 42ND REPORT OF THE STANDING COMMITTEE ON CHEMICALS AND FERTILIZERS ON THE RECOMMENDATIONS CONTAINED IN THE 35TH REPORT (SIXTEENTH LOK SABHA) OF THE COMMITTEE ON 'REVIVAL OF SICK PSUS IN CHEMICALS AND PETROCHEMICALS SECTOR' OF THE MINISTRY OF CHEMICALS AND FERTILIZERS (DEPARTMENT OF CHEMICALS AND PETROCHEMICALS). 39 Final Action Taken Replies of the Government on the recommendations contained in the 39th Report of the Standing Committee on Chemicals and Fertilizers (2016-17) on the Observations/ Recommendations contained in the 34th Report (Sixteenth Lok Sabha) of the Committee (2016-17) on the subject 'Implementation of Policy on Promotion of City Compost' of the Ministry of Chemicals and Fertilizers (Department of Fertilizers). 38 Final Action Taken Replies of the Government on the recommendations contained in the 38th Report (16th Lok Sabha) of Committee on Chemicals and Fertilizers regarding Action Taken by the Government on the recommendations contained in the 33rd Report (16th Lok Sabha) of the Committee on "Demands for Grants 2017-18' of the Ministry of Chemicals and Fertilizers (Department of Chemicals and Petrochemicals). 36 Final Action Taken Replies of the Government on the recommendations contained in the 36th Report of the Standing Committee on Chemicals and Fertilizers (2016-17) on the Observations/ Recommendations contained in the 31st Report (Sixteenth Lok Sabha) of the Committee on "Demands for Grants 2017-18" (Department of Fertilizers). 19 Final Action Taken Replies of the Government on the recommendations contained in the 19th Report (16th Lok Sabha) of Committee on Chemicals and Fertilizers regarding Action Taken by the Government on the recommendations contained in the 11th Report (16th Lok Sabha) on the subject 'Movement of Fertilizers and Monitoring System' of Department of Fertilizers. 28 Final Action Taken Replies of the Government on the recommendations contained in the 28th Report (16th Lok Sabha) of Committee on Chemicals and Fertilizers regarding Action Taken by the Government on the recommendations contained in the 20th Report (16th Lok Sabha) on the subject "Functioning of Autonomous Institutions- Central Institute of Plastics Engineering Technology (CIPET)' and Institute of Pesticides Formulation and Technology (IPFT)" of the Ministry of Chemicals and Fertilizers (Department of Chemicals and Petrochemicals). 27 Final Action Taken Replies of the Government on the recommendations contained in the 27th Report of the Standing Committee on Chemicals and Fertilizers (2016-17) on the Observations/ Recommendations contained in the 22nd Report (Sixteenth Lok Sabha) of the Committee (2015-16) on ‘Demands for Grants' (2016-17) of the Ministry of Chemicals and Fertilizers (Department of Chemicals and Petrochemicals). 25 Final Action Taken Replies of the Government on the recommendations contained in the 25th Report of the Standing Committee on Chemicals and Fertilizers (2015-16) on the Observations/ Recommendations contained in the 17th Report (Sixteenth Lok Sabha) of the Committee (2015-16) on the subject "Petroleum Chemicals and Petrochemicals Investment Regions (PCPIR) (Department of Chemicals and Petrochemicals). 29 Final Action Taken Replies of the Government on the recommendations contained in the 29th Report (16th Lok Sabha) of Committee on Chemicals and Fertilizers regarding Action Taken by the Government on the recommendations contained in the 23rd Report (16th Lok Sabha) on 'Demands for Grants 2016-17' of Department of Pharmaceuticals. 13 Action Taken Statement of Final Action Taken Replies of the Government on the recommendations contained in the 13th Report (16th Lok Sabha) of Committee on Chemicals and Fertilizers regarding Action Taken by the Government on the recommendations contained in the 6th Report (16th Lok Sabha) on "Demands For Grants (2015-16)" (Department Of Pharmaceuticals). 10 Action Taken Statement (Hindi and English versions) on Tenth Report of the Standing Committee on Chemicals and Fertilizers (2014-15) on Action Taken by the Government on the Recommendation contained in the First Report (16th Lok Sabha) on Demands for Grants (2014-15) of the Ministry of Chemicals and Fertilizers (Department of Chemicals and Petrochemicals). 44 Action Taken Statement on Forty fourth Report of the Standing committee on Chemicals and Fertilizers (2013-14) on Action Taken by the Government on the Recommendation contained in the Thirty Ninth Report (15th Lok Sabha) on the subject Pricing of Fertilizers of the Ministry of Chemicals and Fertilizers (Department of Fertilizers). 8 Action Taken Statement on Eighth Report of the Standing committee on Chemicals and Fertilizers (2014-15) on Action Taken by the Government on the Recommendation contained in the Third Report (16th Lok Sabha) on Demands for Grants (2014-15) of the Ministry of Chemicals and Fertilizers (Department of Fertilizers). 9 Action Taken Statement on Ninth Report of the Standing committee on Chemicals and Fertilizers (2014-15) on Action Taken by the Government on the Recommendation contained in the Second Report (16th Lok Sabha) on the subject Demands for Grants (2014-15) of the Ministry of Chemicals and Fertilizers (Department of Pharmaceuticals). 43 Action Taken Statement on Forty third Report of the Standing Committee on Chemicals and Fertilizers (2013-14) on Action Taken by the Government on the Recommendations contained in the Thirty sixth Report (15th Lok Sabha) on the subject, ‘Production and Availability of Pesticides’ of the Ministry of Chemicals and Fertilizers (Department of Chemicals and Petrochemicals). 42 (ii)	Action Taken Statement on Forty second Report of the Standing Committee on Chemicals and Fertilizers (2013-14) on Action Taken by the Government on the Recommendations contained in the Thirty third Report (15th Lok Sabha) on Demands for Grants (2013-14) of the Ministry of Chemicals and Fertilizers (Department of Fertilizers). 41 Action Taken Statement on Forty first Report of the Standing Committee on Chemicals and Fertilizers (2013-14) on Action Taken by the Government on the Recommendations contained in the Thirty fifth Report (15th Lok Sabha) on Demands for Grants (2013-14) of the Ministry of Chemicals and Fertilizers (Department of Pharmaceuticals). 40 Action Taken Statement on Fortieth Report of the Standing Committee on Chemicals and Fertilizers (2013-14) on Action Taken by the Government on the Recommendations contained in the Thirty fourth Report (15th Lok Sabha) on ‘Demands for Grants 2013-14’ of the Ministry of Chemicals and Fertilizers (Department of Chemicals and Petrochemicals).